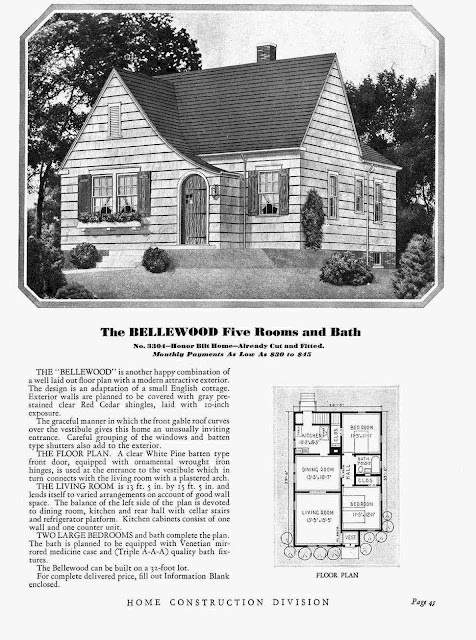 The Sears Bellewood was an English cottage sold from 1930 until 1933. It must have been a decent seller, because Sears offered two versions of the house in the 1933 catalog--a model with different exterior finish was called the Pembrook. I think found two Bellewoods in Des Plaines. 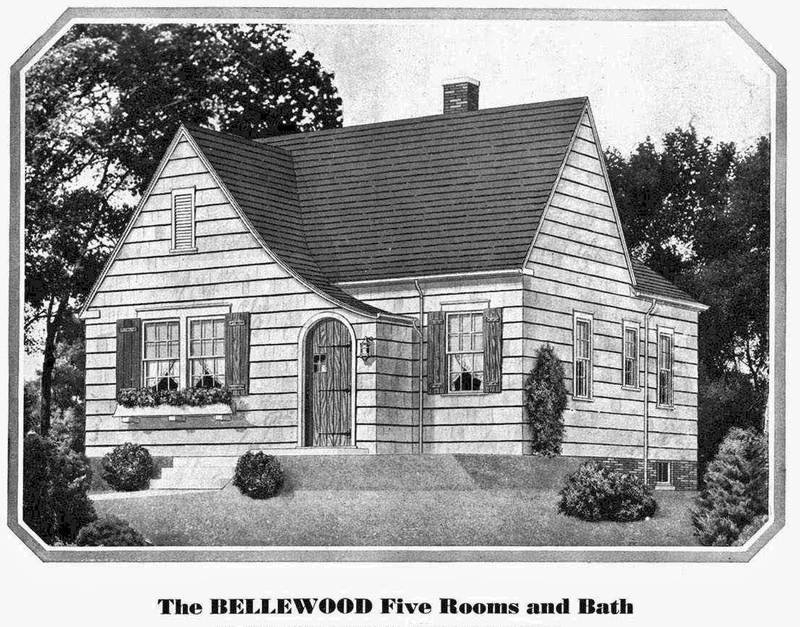 The Bellewood from the 1932 Sears Modern Homes catalog. 1079 E. Prairie Ave., Des Plaines. I'm iffy on this one. The front dormer might have been modified to accommodate the added second floor. I love that shed dormer on that Bellewood. What a great idea, and it fits in nicely.